Right when we’re just getting used to rubbing elbows with the Millennial generation, a new set of eager youngbloods wants to take on the work world by storm. Unlike the Gen Y’ers whose work motivation is anchored down by finding a life purpose, what drives Generation Z to work their butts off is something more traditional—cash and stability. Though there is much debate on what year the Generation Z started, many sources benchmarked the year 1995. While growing up, many Gen Z’ers bear witnessed the hardships of living in a global financial and economic crisis (between 2007 and 2009). After seeing the effects of the recession on their parents or having the effects trickled down on them, the significance of having enough money and job security became hard-wired to what many Gen Z’ers want out of their employers. With that said, here a few questions employers might have when the Gen Z’ers want to join their workforce. How Much Do Gen Z’ers Want? With the goal of earning as much as they could as fast as possible, employers may expect a higher asking salary from job applicants from Generation Z. The Gen Z’ers, also referred to as Post-Millennials or the iGeneration, may also be inclined to ask for benefits like health care and other perks. In a survey among senior high school students in the United States, 63% of the students want to earn at least $70,000 per year. To grasp the significance of this figure, the average annual salary of median US workers is $44,148 in 2016. For management positions, the annual salary is $63,076. For employers who are hiring or about to hire a Gen Z’er, it is best to be ready to perform salary negotiations, especially when the expected salary of the eligible candidate is beyond the given budget. However, employers should also keep in mind that salaries should appear sustainable enough to entice a Gen Z’er applicant or retain a Post-Millennial employee. Is Retention An Issue For A Gen Z’er Employee? Unlike the Millennials, the iGeneration is less likely to bounce, as long as they feel that their job is stable, well-compensated, and fair. For the Gen Y’ers, they would leave their jobs if they feel that they do not matter at work, or if their job does not give them a significant purpose for being, regardless of having a good salary and job security. Job advancement or showing the opportunity to get promoted is also important for Gen Z’ers since they see it as a great indicator of job security. However, they believe that promotions should be handed out to those who deserve it, even if it is not theirs. For them, it is important to see job advancements being rewarded in a fair way, by getting it through hard work. Employers may be able to lock down a Gen Z’er candidate or employee by explaining what’s in store for them on the corporate ladder, and most importantly, what the basis is to reach the next level. Employers should keep in mind that if the employee has met the criteria and he or she still did not get promoted, the employee is likely to deem it as unfair and bounce. What Else Do Gen Z’ers Want In The Workplace? While money and stability are the biggest motivators for many Gen Z’ers to work, those are not all there is in their want-list. They are also interested in an employer who respects or nurtures their independence, and a job that creates a positive social impact and a sense of belonging in a community. Generally, Post-Millennials got entrepreneurship coded into their mindset. They thrive in a company that gives them room to grow on their own and that also allows their ideas to be voiced out. If the employer respects their need for to do their tasks on their own terms, there’s a tendency that Gen Z’ers will give it back with loyalty. If there was a significant characteristic that the Millennials passed on to the iGeneration, it is their inkling to have a job that creates an impact. Just like Gen Y, the Gen Z’ers also want to make a difference, but not necessarily on a worldwide scale. Employers would greatly benefit if they explained to Gen Z’ers how their work creates a positive influence to the end-users. Even if most Gen Z’ers are usually seen glued to their devices, they are actually sociable beings who want to be part of a community, but not just any community, but one that lets them freely participate and empowers them. By letting them speak out or be active in a group, Gen Z’ers would be more connected to their peers and to the company. 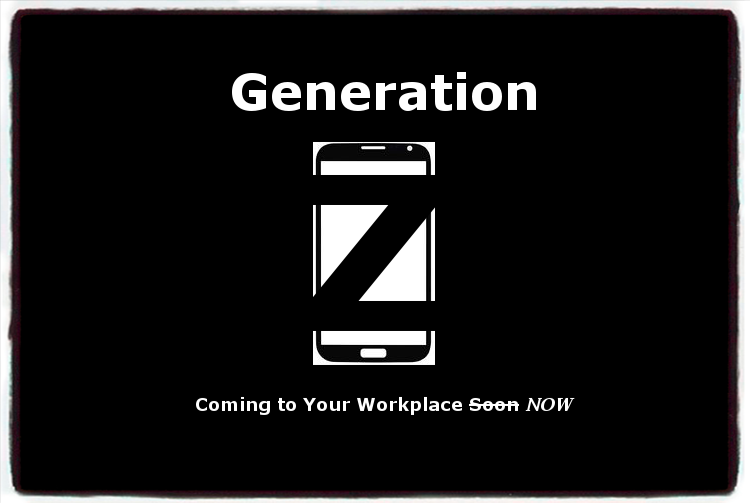 In the Philippines, the Gen Z’ers in the workplace has been around since 2013, given that the legal working age is 18. As seen in many companies, they have proven themselves to be loyal, hard workers, and quick learners of the latest innovation, understandably because they pretty much grew up with technology. This year, a new wave of Post Millennials are set to be part of the payroll. As more join the workforce, employers should dedicate some time to recalibrate their hiring strategies, employee retention techniques, and budget—hopefully, have it refined before Generation Alpha starts submitting their resumes. As your business grows, payroll matters get complicated, but we can help. JustPayroll.ph offers enterprise-grade payroll software, premium biometric devices, and superior outsourced payroll services.